What could be better than the award winning Skinny Fiber pills? It has to be our revolutionary new weight loss formula called SKINNY BODY MAX? 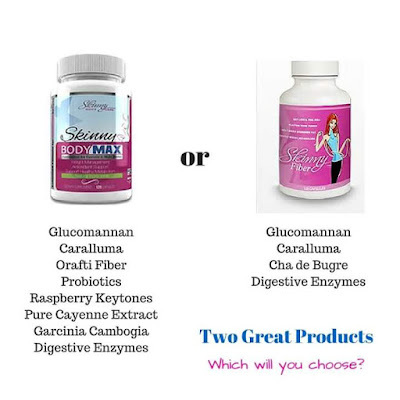 This sister product features some of the same effective ingredients in original Skinny Fiber (enzymes and healthy fibers), but Skinny Body Max has five more ingredients proven for weight loss and health such as prebiotic and probiotic support, raspberry ketones, garcinia cambogia and more. Customer raves are pouring in with satisfaction for Skinny Body Max; both men and women think it's the ultimate in appetite control, digestion and weight loss. Comes with our 90 Day Challenge and a full guarantee!!! 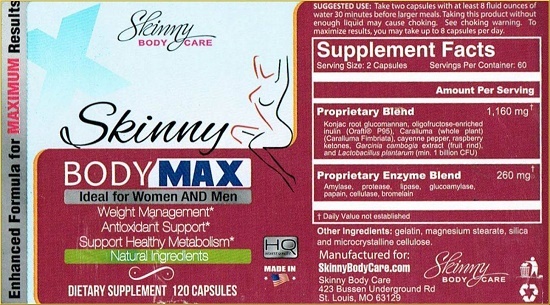 Contact Me directly for Buy 2 Get 1 Skinny Body Max free! - are often called "good" or "helpful" bacteria because they help keep your gut healthy. The probiotic in Skinny Body Max is Lactobacillus Plantarum (L. Plantarum) prevents harmful bacteria from attaching to the mucosal lining. It aids in digestion, retaining vitamins and minerals, so the bad bacteria are pushed out the body. - Beyond supporting digestion, Digestive Enzymes can play a major role in weight management. Enzymes are responsible for every single chemical reaction in every single cell of your body. How Much Does Skinny Body Max Cost? Skinny Body Max costs exactly the same as Skinny Fiber and our other products. If you click the Order Today button on this Skinny Body Max website, you will see the top 3 packages with pricing. Click on the one you like and look below! The pricing will update with your local shipping rates, too. How To Take Skinny Body Max for Weight Loss? Take 2 capsules at least 30 minutes before your two largest meals of the day and with 8 to 16 ounces of water. 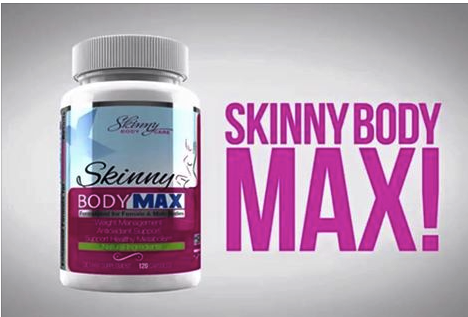 The company suggests that you take Skinny Body Max before Lunch and Dinner, but you can take it before Breakfast and Lunch or Breakfast and Dinner ... Whatever works best for your body and schedule. If you take certain medications(s) daily, then you will want to take Skinny Fiber at least an hour apart from your prescription pills. Drink 1/2 your weight in ounces of water each day for health and to keep the glucomannan swollen, as well as to help flush toxins out of your body. * If you have high blood pressure, heart condition, diabetes or other health condition, please print this page and discuss with your doctor first to confirm that Skinny Body Max is a good product for you. Now you can buy Skinny Body Max and HiBurn8 together with our new multipacks. Just choose which products you want with your Buy 3 Get 3 Free order!! !